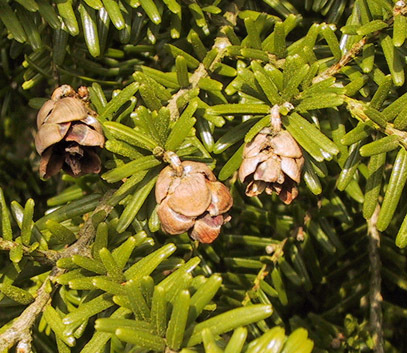 Identification of the species on the left is not sure. 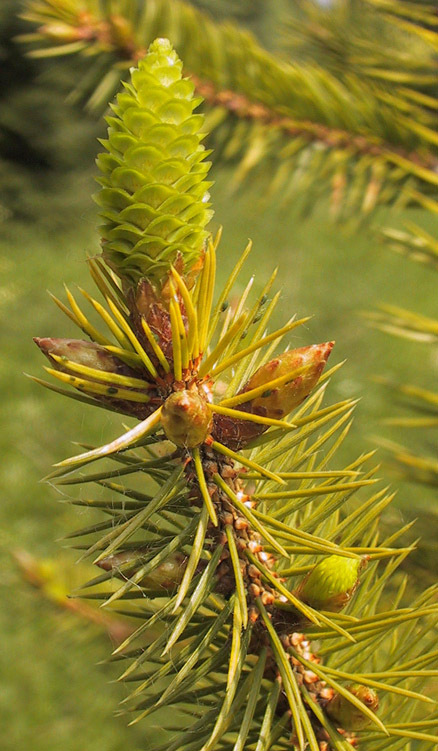 Notice that at the same moment new shoots are already spreading on Tsuga diversifolia while Tsuga sieboldii is still showing no growth. 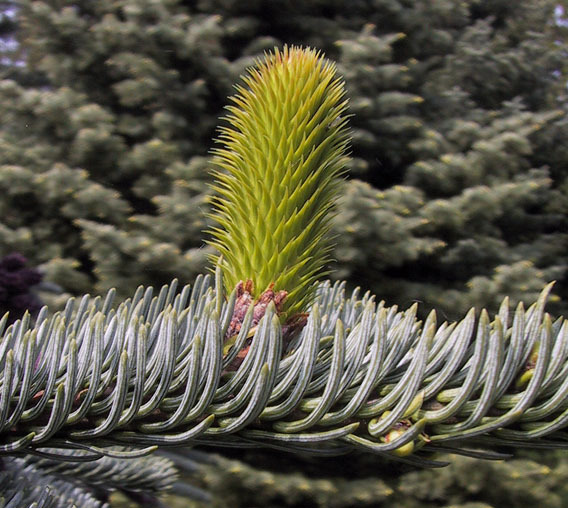 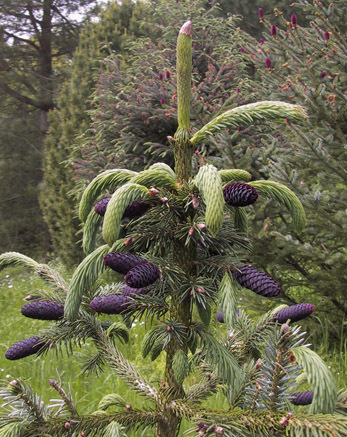 Very special is the green young cone. 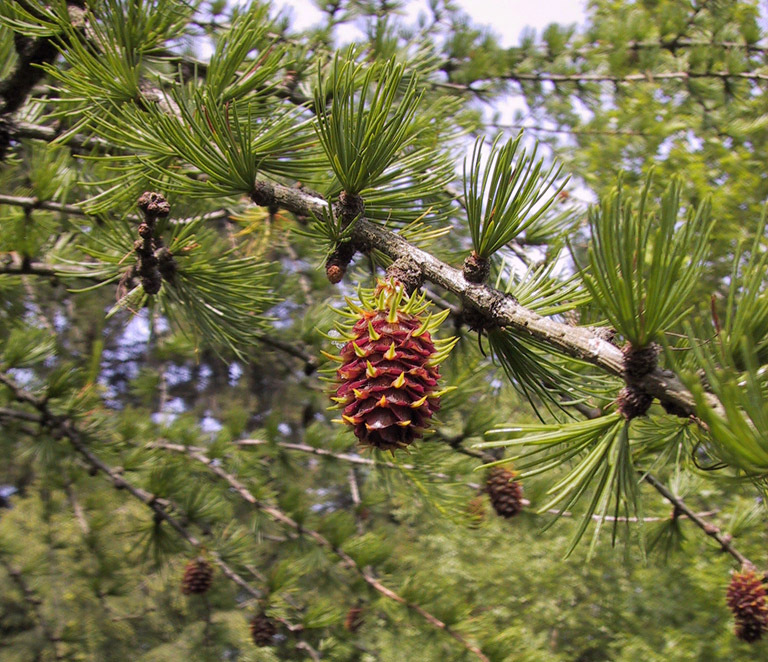 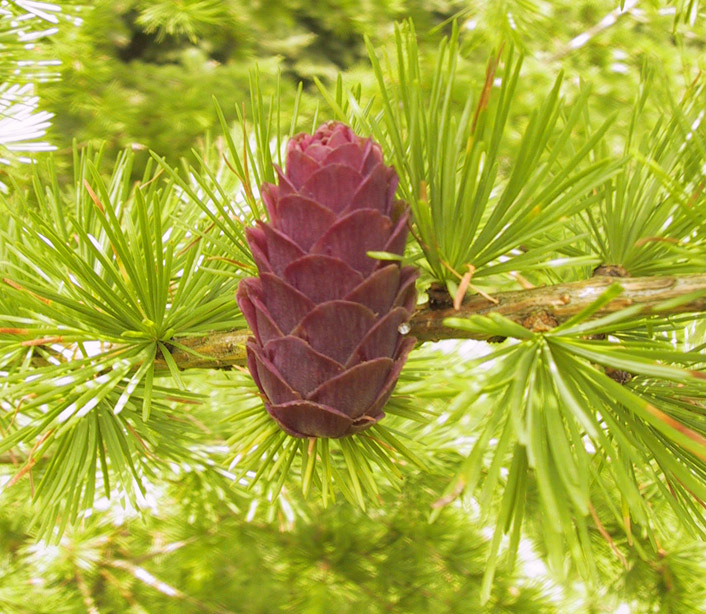 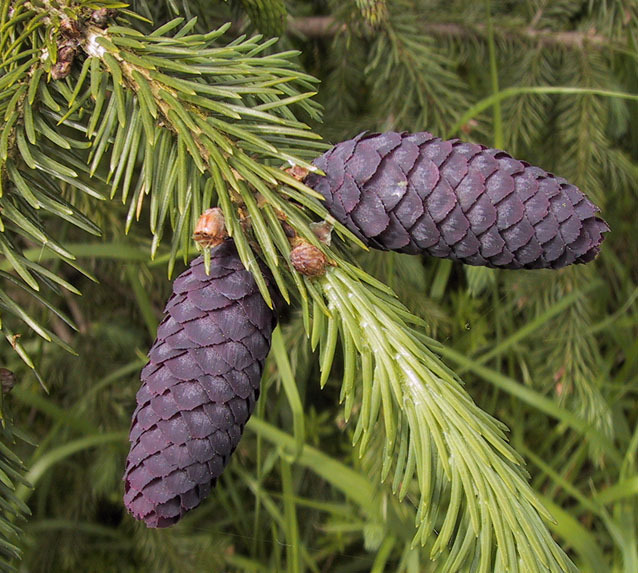 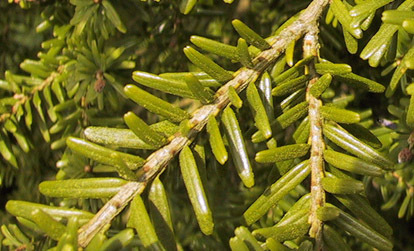 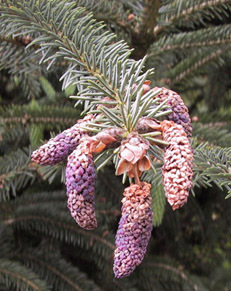 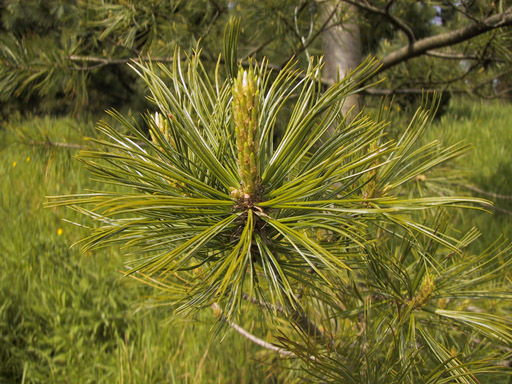 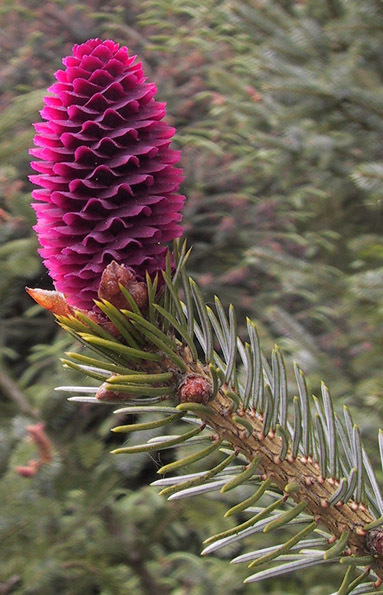 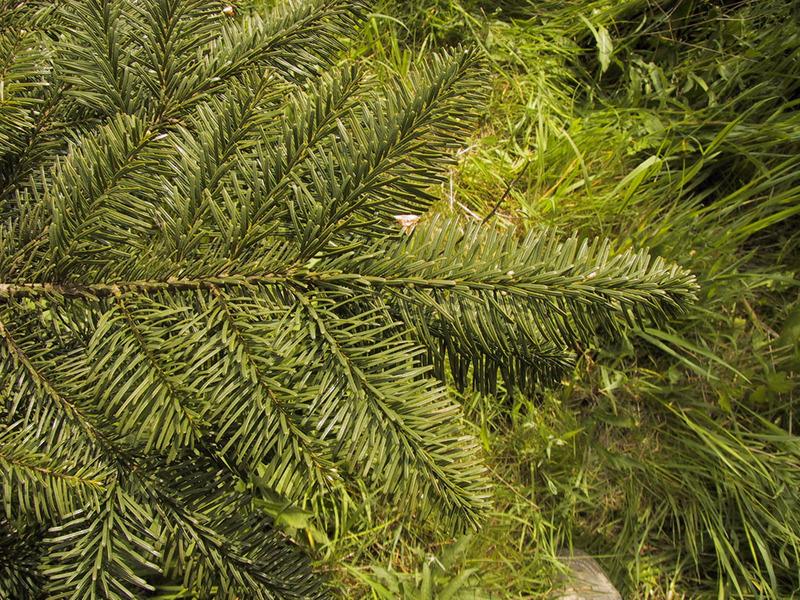 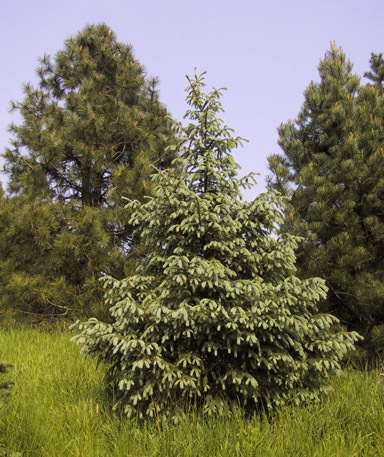 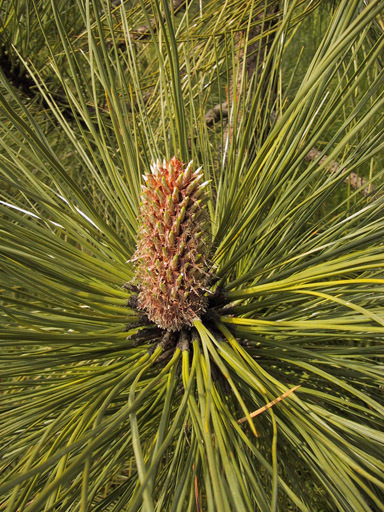 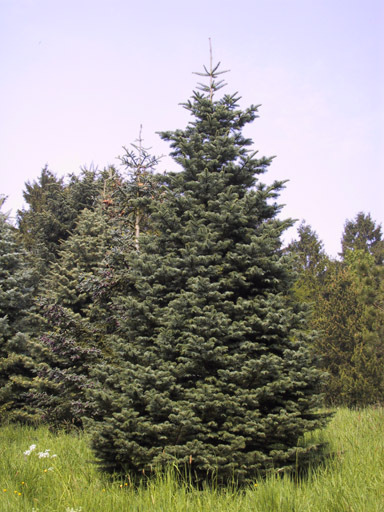 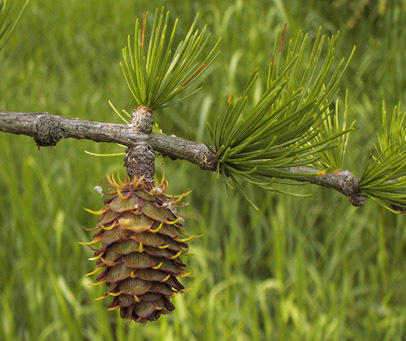 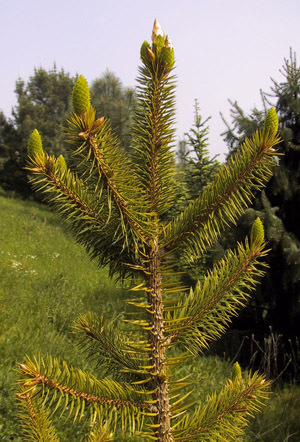 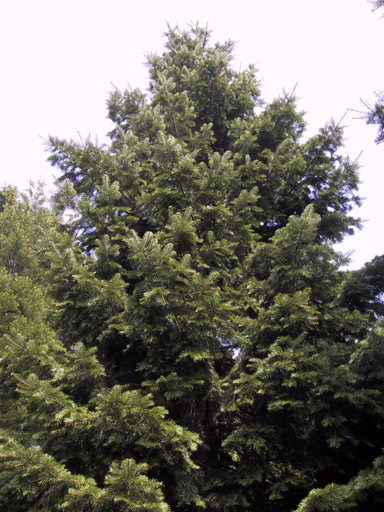 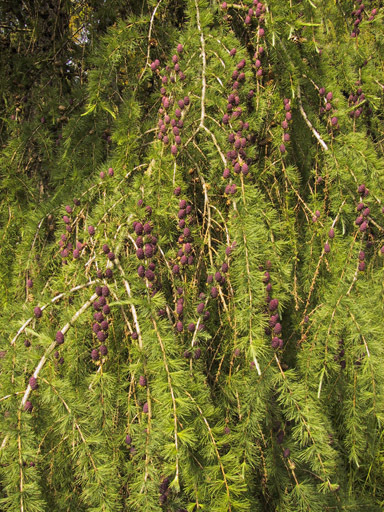 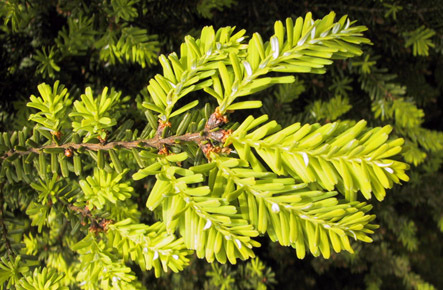 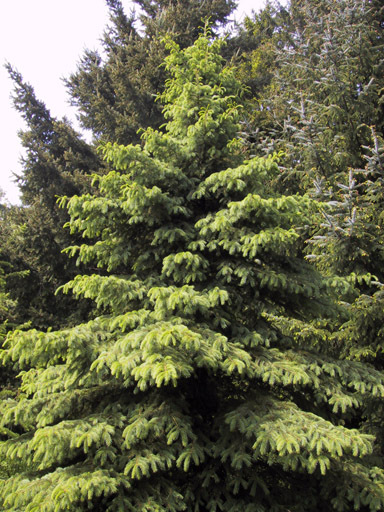 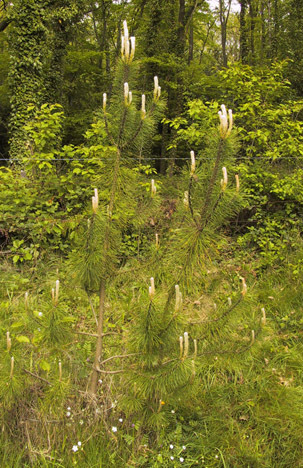 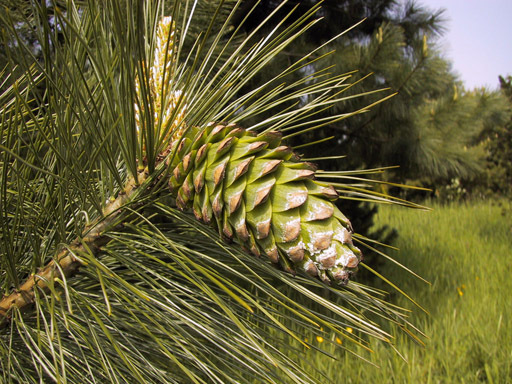 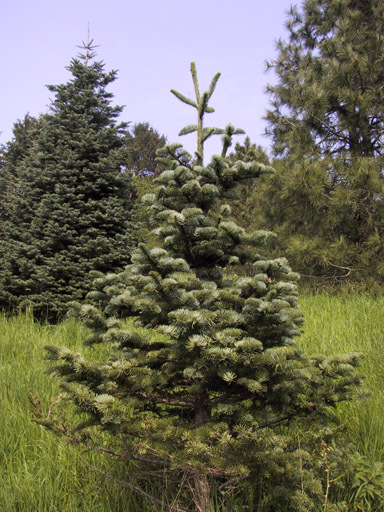 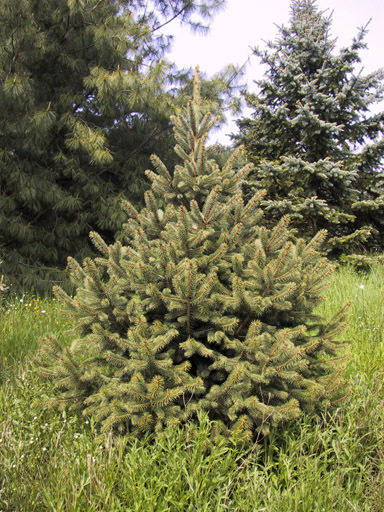 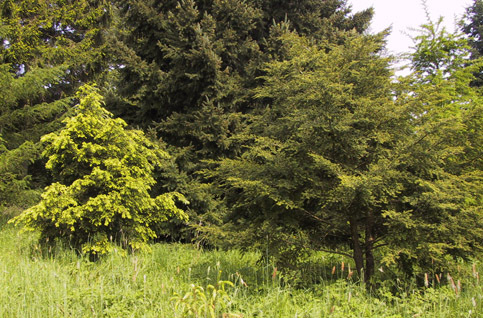 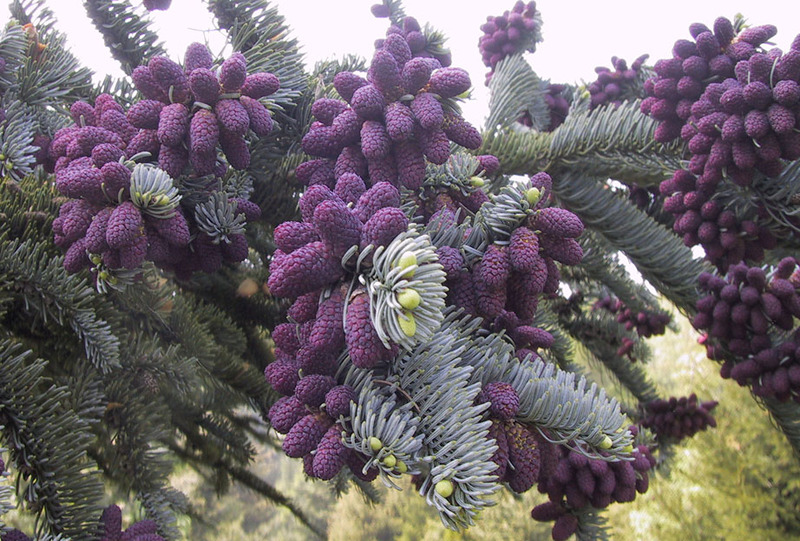 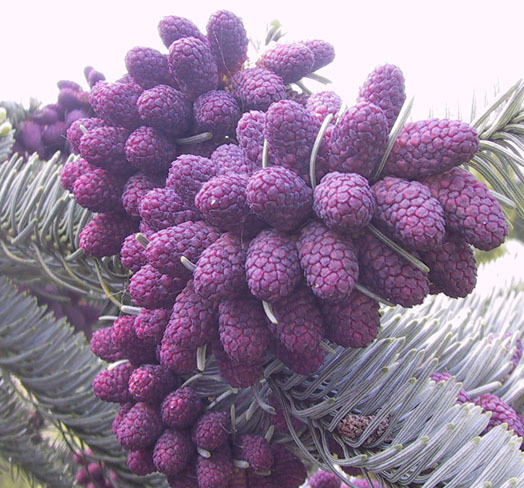 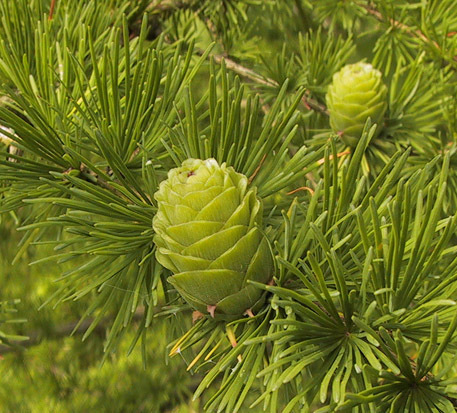 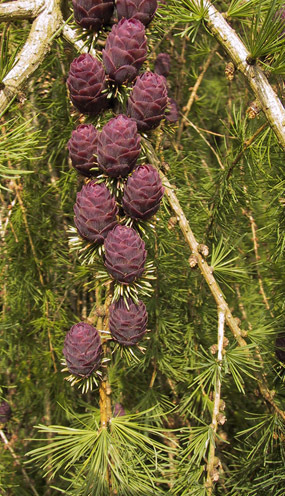 Compare with other Larix cones on this page. 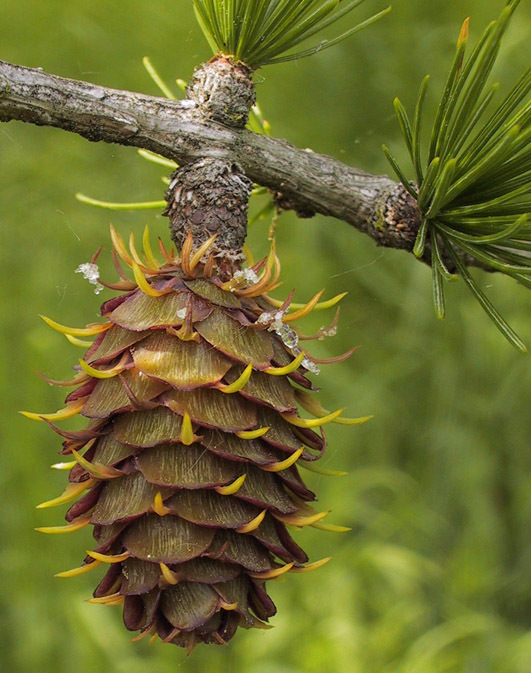 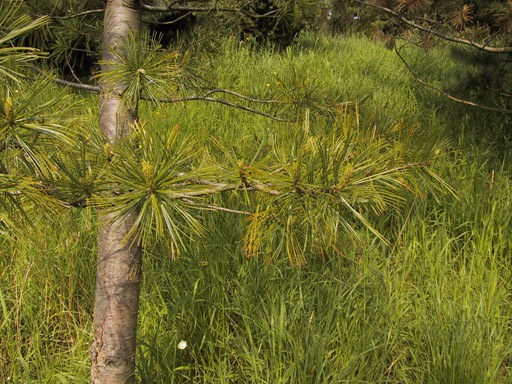 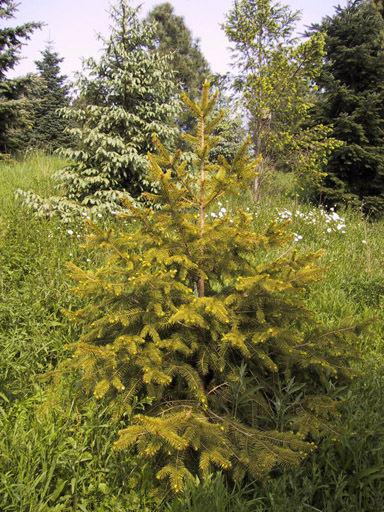 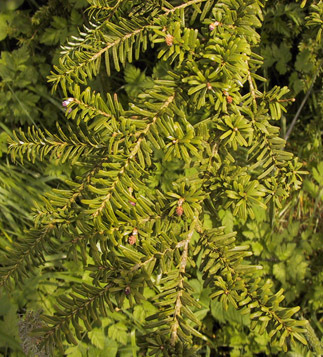 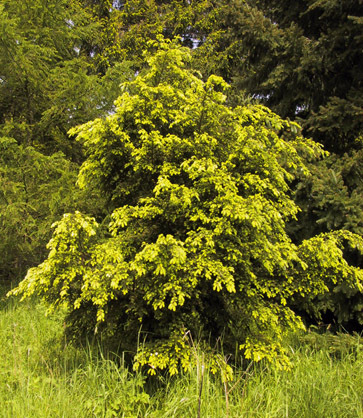 Might be an hybrid between Larix laricina and Larix decidua. 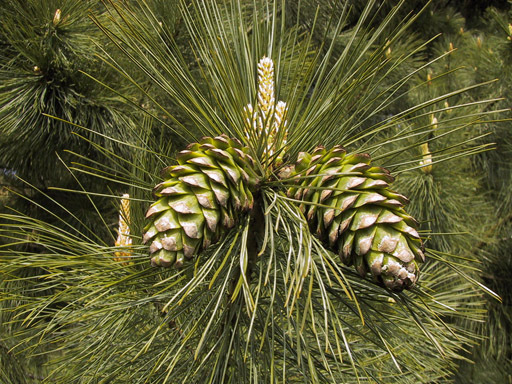 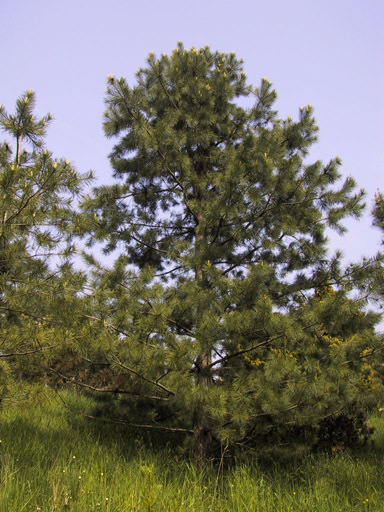 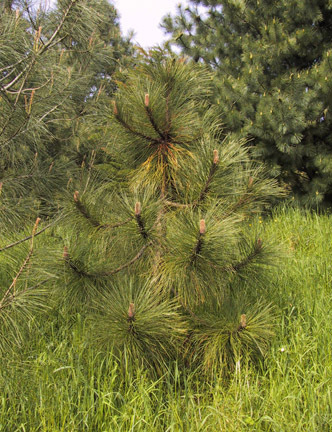 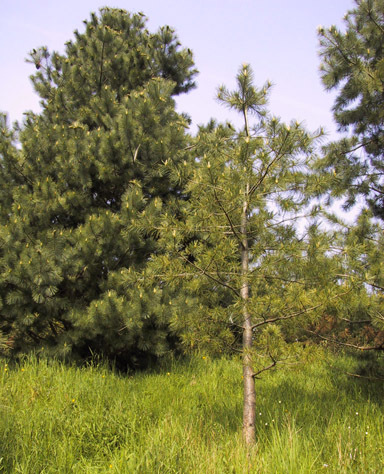 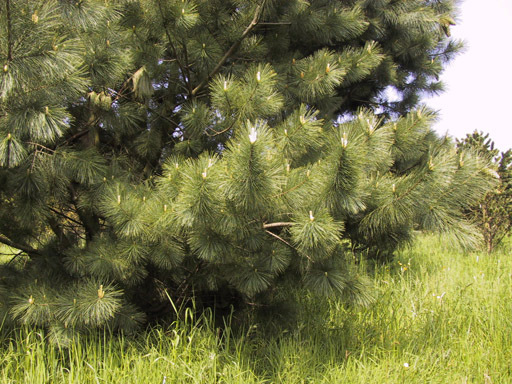 Pinus strobiformis on the left.